The Park West Foundation, with the help of individuals, partners and organizations, allows young people to enjoy the holidays through generous donations of gifts and time. The holidays are a time for families to come together and celebrate with gifts and expressions of love. Unfortunately, many youth cannot share in this joy as easily as others. 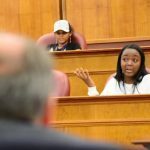 An estimated 13,000 Michigan children are in foster care at any given time, a portion of who “age out” of the system at ages 18 to 21 and are left to fend for themselves. For them, the holidays are all the more difficult. Thankfully, the Park West Foundation, with the help of individuals, partners and organizations, helped 300 young people enjoy the holidays through generous donations of gifts and time. Founded in 2006 by Albert and Mitsie Scaglione, the Park West Foundation promotes creative and lasting solutions for youth aging out of the Michigan foster care system. 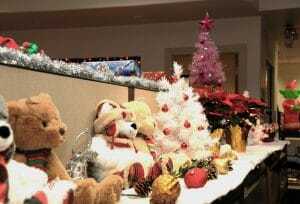 Among its programs is a special Christmas outreach effort to provide gifts to foster care youth and their children. Park West Foundation Program Director Saba Gebrai says the requests for gifts were collected from youth they work with on a regular basis as well as referrals from agencies. The gift requests included everything from toys to clothing such as boots and jackets. “They are quite surprised when they get something they want and something they can use,” Gebrai says. These donations were then handed out to various individuals and organizations throughout the area. For instance, a tree at Park West Gallery was adorned with tags listing gift requests. 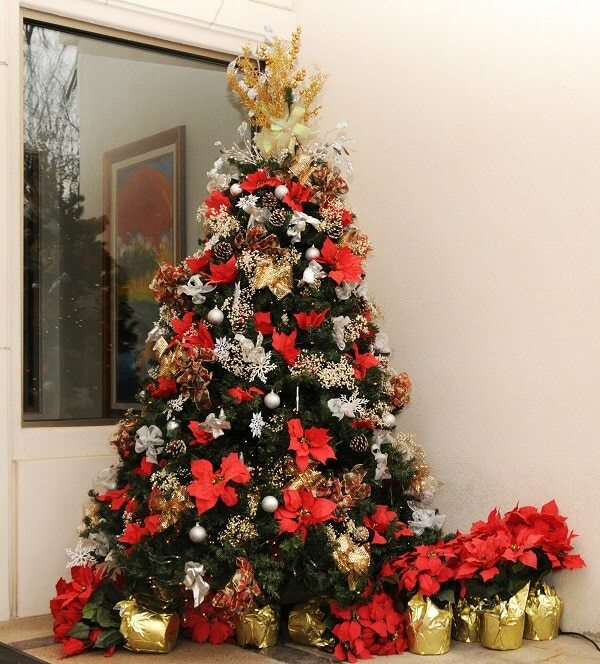 Employees took a tag, fulfilled the wish, and returned the gifts to the tree to be picked up by the foundation. Gebrai says many of these gifts were the only presents the youth, their siblings or their children received this year. Not only does the foundation assist young adults with education, shelter and other resources, it also provides opportunities for them to empower themselves. Many of the foundation’s youth leaders, and college students on break, volunteered to help shop, wrap and deliver gifts during the month of December. Donations were made to individuals at their residences and at three area hospitals. Last year’s effort collected gifts for 200 young adults. Gebrai says with the foundation’s network of over 1,000 youth, she hopes the program will continue to expand. “It’s just a way of showing them ‘we’re thinking of you,’” she says. The foundation thanks Park West Gallery employees as well as the following donors for their contributions to the project: Dave and Maureen Boyed and the Holy Spirit Catholic Church of Highland, Michigan; Big Family of Michigan; Dena along with friends and co-workers; Attorney Sean Blume and friends; and the Wayne County DHHS Partnership Board members of Michigan Youth Opportunities Initiative.